This review was an idea I had to have a sort of round-table effect. Rather than having me go through and just put all the pros and cons of multiple video games into one long review, I decided to have many of my friends do the stuff for me as some of them I'd wanted to work with but have never gotten the chance. 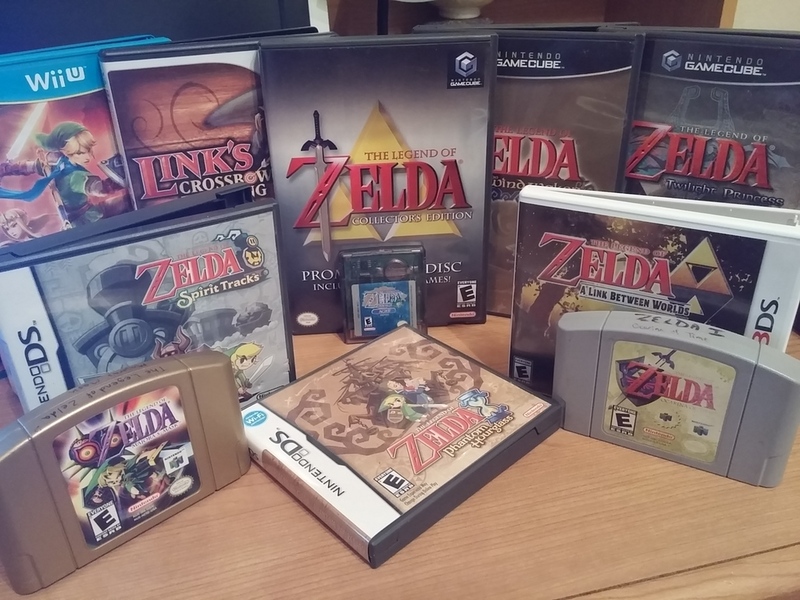 It was also pretty convenient because out of the entirety of the Legend of Zelda Games, four of them have been remade. It just so happened that all four of the people I was going to work with have one of those four remade games as their favorites in the series. KoD was going to represent Majora's Mask. Angel was going to represent Wind Waker, Zach was going to represent Ocarina of Time, and BB was going to represent Twilight Princess. I also want to apologize for the strange formatting. 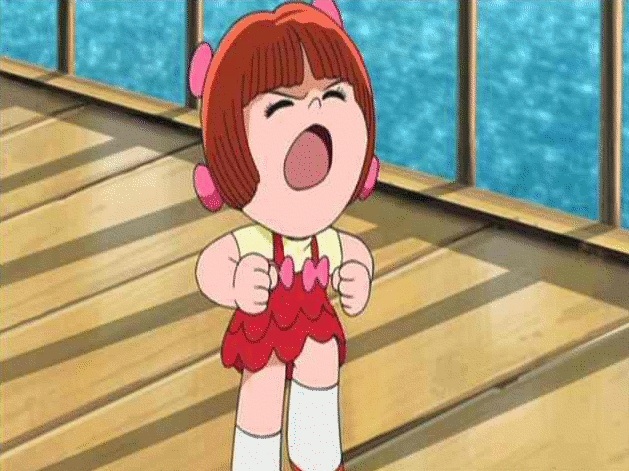 I just did a copy/paste from word and blogger does NOT like when you do that but I honestly didn't care. It's been 30 years since you first showed up on our store shelves inviting us all to a land of elves, magic, and fantasy. Since then you've covered everything imaginable including but not limited to parallel worlds, time travel, magical masks, trains and boats. You've shown us simple quests through eight dungeons and longer battles against hoards of enemies. Your characters have competed in kart racing, the smash bros tourney and even in the search for the Soul Edge. There is a bountiful harvest of material to pick and choose from when covering the Legend of Zelda, some of which I have covered in the past. With so many games in this series it's no doubt that every person has their favorite and it may not necessarily be the same as your favorite. However, one question looms over the entire thing, and no it has nothing to do with the timeline! Which game is the greatest objectively? Is it Ocarina of Time which set the standard formula for years? Is it Majora's Mask which was such a completely different experience from the others? Is it the original Legend of Zelda which was such a masterpiece it allowed for the plethora of games we have before us? Ghost, not only is that ludicrous to look at 17 of these games but it's pointless. Ocarina of Time is clearly the winner. It's got the legacy, the replay value, and the influence. Actually you have a fair point there. Maybe I'm wasting my time. Hold it right there you stinky heads! That's not fair whatsoever! Yeah really, Majora's Mask is clearly the better option. You think Toon Link is a better game than Ocarina? Get out of here with that nonsense! You guys really don't know what you're talking about. Twilight Princess is clearly the better option. WOULD YOU GUYS SHUT UP FOR A SECOND! OK fine then. Everyone has their own opinion on which game is the greatest and each of you have some valid points. How about a proper debate then? I'll come up with various categories and you all can present your case then I'll declare a winner at the end of each segment. The game with the most wins at the end will be declared the best Legend of Zelda game. Sound fair? 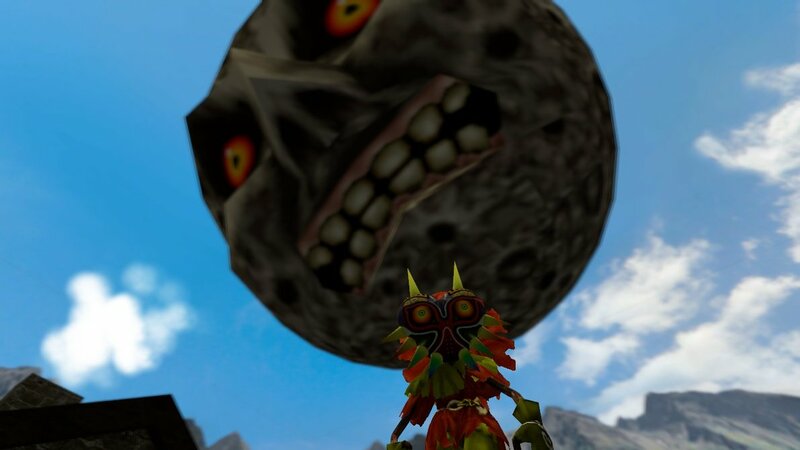 Majora’s Mask as a game is a completely different story than any other Zelda game we’ve seen even to this day. This game stands out for being one of the darkest Zelda games to date leaving you with that unsettling feeling of what the end of the world would be like. Due to its unique use of time mechanics, many would compare it to the movie Groundhog Day only in game form. Majora’s Mask is a direct continuation of Ocarina of Time’s story. 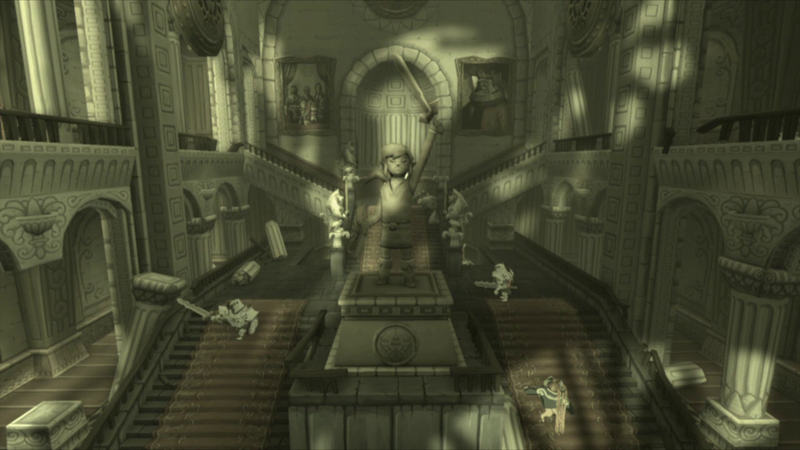 At the end of Ocarina of Time, Link has defeated Ganondorf and returns to his own time, having put the Master Sword to rest in its pedestal. 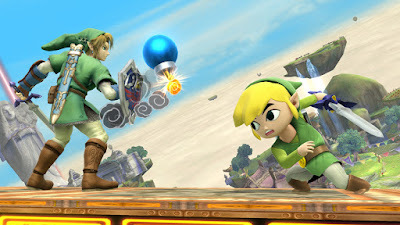 Navi, who accompanied you through Ocarina parted ways with the hero of time. At the beginning of Majora’s Mask, we meet Link on a personal quest to find Navi. Suddenly, he is attack by the Skull Kid wearing Majora’s Mask and ultimately turned into a Deku scrub. You meet the Happy Mask Salesman upon arriving at town who claims he can return you to your original form if you can retrieve your Ocarina of Time. 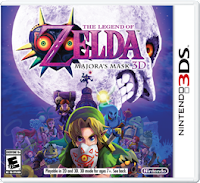 It’s here that you are introduced to the main game play mechanic that makes Majora’s Mask truly one of a kind. You have three days to retrieve your precious item before the moon crashes and brings forth the end of the world. After obtaining your Ocarina back, you use the Song of time Zelda taught you in the past to return to the morning of the first day. 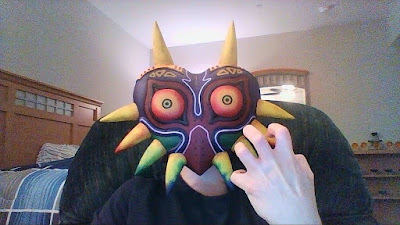 After the Salesman returns you to human form, you learn that the Skull Kid who stole Majora’s Mask from the Happy Mask Salesman is using this mask to cause all sorts of evil throughout the land of Termina. Your goal is simple to must stop Skull Kid before the moon crashes in 3 days. To do so you must travel to the four temples in the compass directions and save the giants. Only by calling the four Giant’s from on top of the Clock Tower will you be able to halt the falling of the evil moon. Despite being such a simple story line of just going to four dungeons to help save the world, there’s FAR more to this game’s story than that. This game is about 10% main story and 90% sidequest stories. What really makes this game interesting is the fact that every person you come across has their own story to be told over the course of 3 days. This ultimately adds a whole extra layer of depth to what you will experience playing the game. Besides the Sidequests I believe that the overall dark atmosphere of this game makes it stand out from any other Zelda game to be released to this day. In the final hours of the three days you really feel the weight of the world getting ready to end as the moon draws ever closer to crashing into the clock tower. Not to mention if you fail to go back in time or stop the moon there is an apocalypse scene that will let you know straight up that you have failed. Every Legend of Zelda does something different, but I always gravitated to the unique spin of things that Wind Waker did. 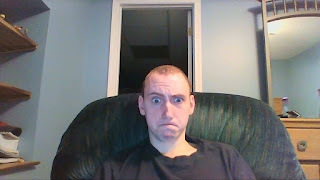 You see, Wind Waker did something strange for a Nintendo game.. it basically made a plot that was about moving forward. 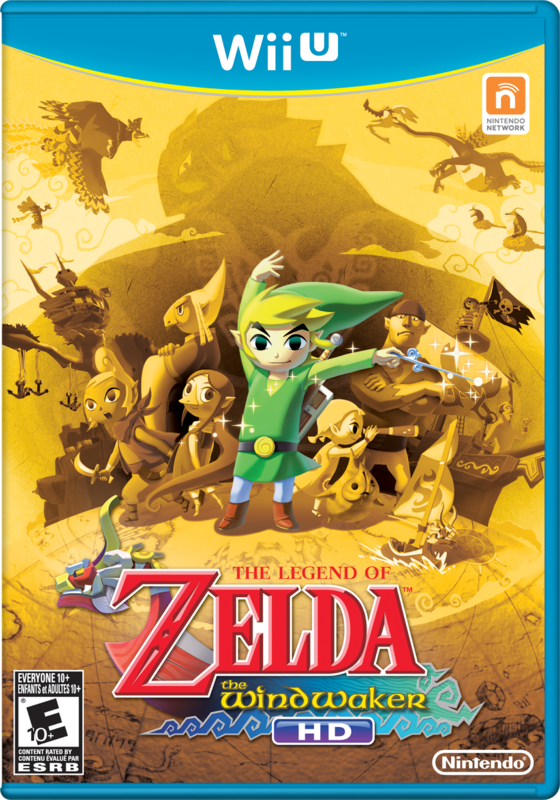 Which is strange in a series so caught up in its own lovely tropes, a series that is constantly filling holes in the past.. but I think what is a somewhat shame is that Wind Waker loved what made a Zelda game that.. but ultimately ended on the idea that something new needed to be craved out too. It treated it's past as just that... Hyrule and the rest was this dream like, religious thing in the past.. and while that could inform the present.. you couldn't just make it the present either. A really strange plot for a Nintendo game, for sure. That alone gives me a reason to be fond of it. Link carries a sense of energy, liveliness, and charm that is unmatched. His design is a lot more animated.. in every sense of the word. He feels alive in the world and fully realized by it. I know that we are supposed to be Link in a sense, or at least he is the Link we have between the world and the game.. so for someone like me, who feels alive and in every moment.. having a Link that seemed to feel the same allowed me to connect to the game in a way I couldn't before. Our Ganon is aged and wised, almost a bit humbled by his adventures.. the sort of end result of whatever character growth had gotten in life. His struggles to cling to Hyrule, the wind that he coveted.. is something that the players of the game can totally realized. We all cling to those nostalgic winds and the things that were glorious once upon a time but.. they have to simply help push our sails to new horizons. Tetra was also a super unique and lovely spin on Princess Zelda, her duality not a guise.. but a true part of her character. A complex person that was always more than meets the eye.. but her place as Pirate Princess was never a falsehood either. Wise with a beautiful sense of mischievousness that intelligence can bring, playing with outcomes and watching it happen in front of you.. a lovely realized character. Having 90% of this game be sidequest really lets you experience in depth the personality and life style of all the characters you come in contact with. Every character has their own schedule over the 3 days, they all have their very own story to tell. Having the option to help some of these characters really shows you the impact of your decisions. Failing to help them will result in their depression at their inevitable destruction, but assisting them will create joy in the face of death. As far as Link goes, there’s even more of a dark underlining revolving around this Link in particular. Back in Hyrule he was the Hero of Time that saved the kingdom from the evil Ganondorf… but now that he’s in Termina he’s just some ordinary kid that no one really knows. But where the dark undertone comes in is what was made official knowledge regarding this Link in Hyrule Historia. Link having wondered around the forest without a fairy died and became a stalfoes. And the things he is experiencing in Termina are stages of denial that he is in fact dead. The Link is dead theory takes it a step further in Twilight Princess. Though out the game you are taught sword techniques by a mysterious swordsman who switches between a wolf and an armored warrior. This is in fact the very same Link from Ocarina of Time passing on his sword skills to future generations of the hero or in other words the Link from Twilight Princess. To put it another way, this Link has a very important role between three different games as well as the hero of the legend being passed on the also was mentioned in Wind Waker. To be completely honest when it comes to locations, there’s not that many in this game. 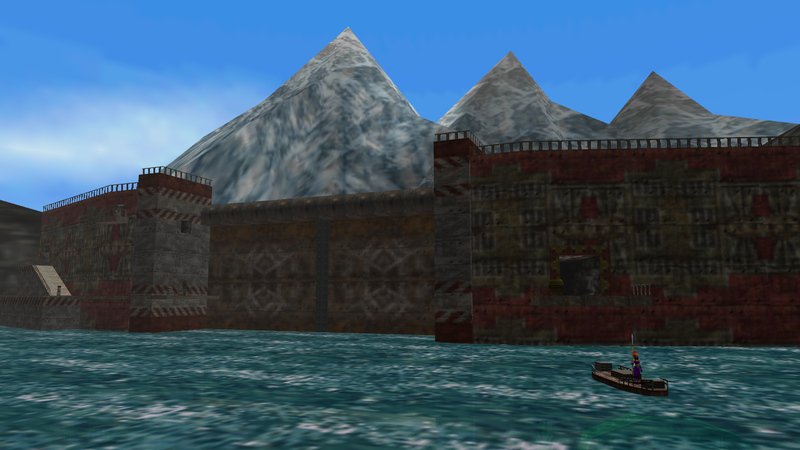 You have Clock Town, a swamp area, a snowy mountain area, an ocean like area, and an area where the dead roam. Kind of simplistic yet most likely areas you have seen something like it before in other Zelda games. But the dungeons themselves for the areas are what really stands out and remain quite memorable. And more so what effect clearing the dungeon has on the rest of the area. I would say the various dungeons of this game are memorable because of how well thought out the dungeons are making use of all your current abilities. I will say that in terms of unique locations you only see in Majora’s Mask, traveling inside the moon in an attempt to stop Majora’s Mask is quite a new experience. Seeing a huge grassy terrain with a single tree, kids running around . You can speak to each of the kids wearing the mask of the temple bosses you’ve beaten to go to a mini dungeon representing the dungeon they came from. 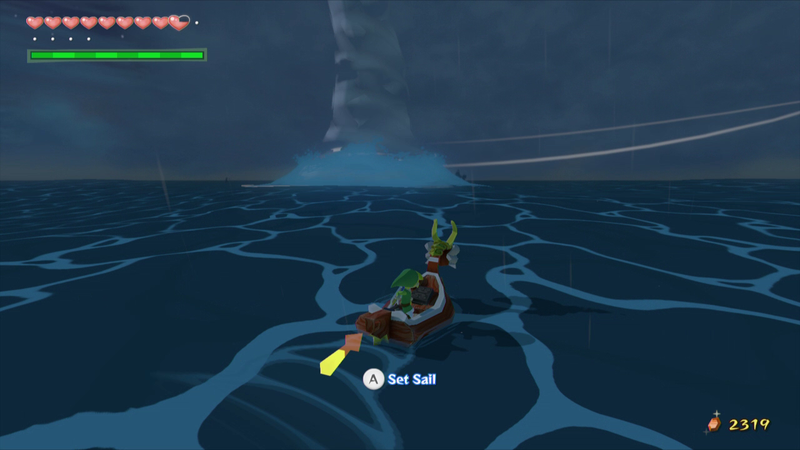 The world in Wind Waker is drastically different than other Zelda games. It's a world that has literally buried a lot it's past beneath a deep sea. That past still lingers.. almost seems to threaten to bubble above the surface.. but it doesn't. As a design it's beautiful and carried a sense of mystery to very location. Every island you visit feels drenched in a strange sort of.. aura to it all. A feeling that literally anything could be waiting inside.. that everything has a past, a story.. And they really captured that. Every island does have a story.. even the small locations are given their own character. Every bit of this game is designed.. none of it simply exists for existance sake. The character to the high seas and the adventure and exploration it promises is peak. To be perfectly honest, to me.. the only thing I could say about Wind Waker is that the items worked. They worked really well. Everything flowed and did exactly what I wanted it to at any given time. I'm sure that the other Zelda games managed to capture this feeling, and for many I could understand that the Wind Waker doesn't really do anything all that special.. but everything just fit perfectly for me. That being said, the sentimentality that I felt for the moments I got each item certainly informed my feelings as well. Every time I scouted out the island ahead of me with my telescope, I remembered why I had it. The design philosophy of Zelda makes every item really tied into the moment that you got it, the area and the things you were doing with it, and those moments in Wind Waker were for my money.. the most memorable to latch onto. What makes this game so unique in terms of Items you can get is the inclusion of Masks. Scattered through Termina are many masks each with a special ability or something they unlock that you’re now able to do to get something. There are 4 transformation mask in the game. These 3 are absolutely necessary for completing the game. 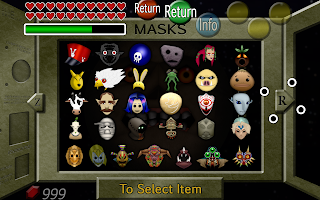 These masks allow you to become a Zora, a Goron, a Deku and even Fierce Deity Link. These 4 transfomations each have special abilities that only they can do which will allow you to progress. The Deku is able to burrow into flowers allowing flight and can use magic to shoot bubbles. The Goron is strong and can roll around at high speeds using magic. The Zora is super fast in the water and uses magic to create an electric barrier and moves faster in water. Fierce Deity Link while not require can use magic to strike with magic beams which completely wreck enemies but can only be used in a boss room. Outside of the masks you have your standard Zelda items such as bombs, arrows, and what not. Unlike in Ocarina of Time the Fire and Ice arrows have a use in this game instead of just being some special item that did nothing. In this game Fire Arrows have the ability to melt ice while Ice arrows can freeze water and make platforms in said water. This of course can lead to some rather interesting puzzles. In Majora’s Mask Link is older than he was in Ocarina of Time allowing him access to some of the weapons he could use as Adult Link such as the arrow or hookshot. Throughout Majora’s Mask Link is able to get various different swords. For a price Link can his sword sharpen into the Razor Sword which loses it’s sharpness after it’s used 100 times… however it can be strengthened to a Level 2 sword or the Guilded Sword which will never lose it’s sharpness even after resetting time. When Link returns all the Stray Faries to the Fairy of Stone Tower Temple he will receive the Great Fariy’s Sword which takes up an item slot but is one of the most powerful swords. To close up my discussion about amazing items how can I forget Chateau Romani? At 10pm on the night of the first day , you can visit the Milk Bar (Provided you have the Romani Mask) to buy this for 200 Rupees. So what does it do? It gives you INFINITE MAGIC for all three days! So grab a bow, some arrows and let’s get to spamming some Light Arrows… It’s almost a necessity to complete Stone Tower Temple. There are a lot of new features that were added in Majora’s Mask 3D that ultimately made the already great game even better. In the N64 version there was a lot of waiting around because you couldn’t advance time using the song of double time to a specific hour like you could in the 3DS version. Aiming controls have now been simplified as you now have the option for gyroscopic controls as well as add c-stick camera controls on the New 3DS. A new side quest has been added to acquire an extra bottle. 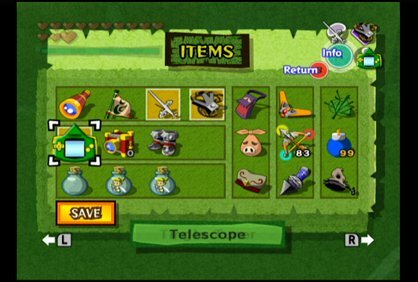 The reward for getting all the stray faries in Woodfall and Snowhead have been swapped so you get the enhanced magic meter first making it easier when you reach the next area given how much magic you’ll be going through. An entirely new yet optional mode was added into the game which was the ability to fish. Granted you’re still on a three day timer but you can pay to just relax and go fishing like you could in Ocarina of Time. Owl statues in the Remake are now Permanent saves which means you have less to worry about when it comes to screwing up as a result of the 3 day timer. This is just a few examples of some changes they made in the 3DS version. What makes MM3D such a better remake then most of the other Zelda Remakes that have been made is, not only were so many features of the game enhanced for sake of convenience, but new content was actually added into the game. So many little changes were made to the over all game play mechanics to make the gaming experience fun and enjoyable. I feel a lot of the remakes have been going this route to change some of the things about the game that were annoying or frustrating and making them better. This is where I have to dig deep into pure opinion land.. but Wind Waker's HD remake for the Wii U is absolutely the best because it had the most reason to exist. 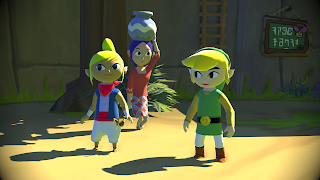 Wind Waker's art style just will never age. It's a game that fully understood the time that it was in, the graphical limitations of said time.. and made a game that could look it's absolute best with what it could do. Being able to bring that to new screens, where they would take the old graphics and mangle them so.. was a much needed thing. It was the only thing holding it back.. and it no longer does. Everything else about it just subtly took advantage of small things they couldn't accomplish due to technical limitations. New lighting effects to give it a lovely sheen, a new sail so you could fly faster in the high seas when you just simply couldn't before. A game that could not get better just re-given to us. Winner - Honestly could have been any of them. Nothing too much that I feel I didn't capture in the previous statements. Wind Waker is just a lovely game that takes the mythos of it's world and makes it.. religious. Makes the adventures truly stuff of legends.. a legend that still promises will repeat.. but the shape of it will change. The world changes. But heroes rising when they are needed most will never change. All things considered Majora’s Mask is a SHORT game. With only four dungeons and a handful of sidequests, it will only take you about 2-3 days to beat this to it’s fullest. But just because it’s short in comparison to Ocarina of Time that doesn’t necessarily make it bad. Majora’s Mask being the continuation of OOT improved the mechanics of the last game in so many ways that some would argue that Majora’s Mask is BETTER than OOT. This game stands out for being to this day the darkest of all Zelda games. And yet there’s something about that dark setting that adds to the overall charm of this game. Quite a simplistic game, easy to pick up, challenging, and won’t consume like 50 hours of your life. It’s a quick game to say the least. This game perfectly emphasized what’s its like to experience the end of the world or more so the build up leading to the end of the world. Looking up in the sky to see your doom, experiencing true fear…..and in the end knowing unless your Link you’re absolutely helpless to prevent the end of the world. It’s like saying the end of the world is inevitable and we can’t stop it no matter what. What is it about this amazingly creepy, even on a nightmare fuelish level that makes this one short game so unforgettable. I could sit here talking about how amazing of a game this is but ultimately it’s something you should experience for yourself. If you have a 3DS I highly recommend picking up the 3DS version so you can truly experience this game to it’s fullest extent. Without actually having everyone's input, I honestly couldn't come up with a conclusion or find a winner out of these categories. In the end, these are all fantastic games. The Legend of Zelda has, for the most part, produced high quality video games across its lifetime with precious few misfires along the way. It doesn't matter what I, or anyone else thing about particular entries in the series because each of them have their merits and their disappointments. If you haven't yet gotten yourself a Legend of Zelda game then, what are you doing? Go out and find out your favorite for yourself. You won't regret doing it. I just wish what I had envisioned as a sort of tribute to the series was able to actually take shape instead of just being an Unfinished review. Ok...to the person that wrote about the "Link is dead" theory, you do realise that the "Link is dead" theory has been debunked, right? I'm going to go through the things you have written. Link didn't die as a stalfos. Hyrule Historia confirms the Hero's Shade/the Hero of Time as a 'ghost'. Link would only become a stalfos if he died in the Lost Woods as an ADULT. Hyrule Historia goes further and says that CHILDREN who die in the Lost Woods become SKULL KIDS while ADULTS become STALFOS. Clearly, if Link had died, he would of become a skull kid, but he is a ghost in Twilight Princess, which means he didn't die in the Lost Woods. 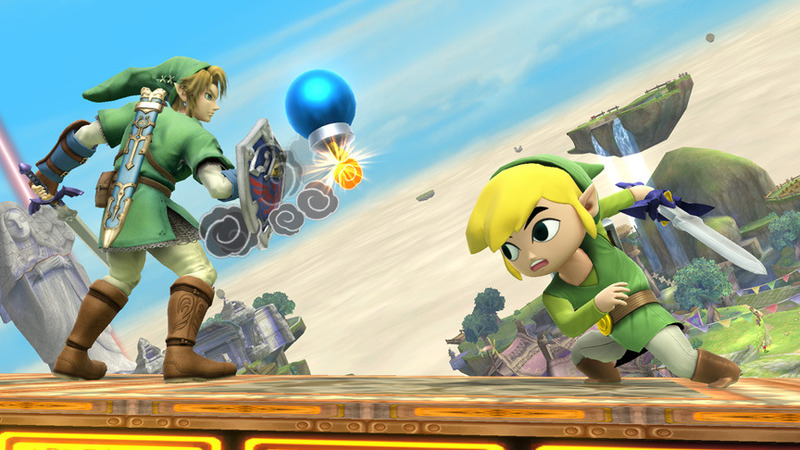 If you think the Hero's Shade proves that Link died in Majora's Mask, then that's incorrect because 1. The Hero's Shade is an adult, not a child. 2. It's confirmed in Hyrule Historia page 115 that Link in Twilight Princess is a BLOOD descendant of the Hero of Time, meaning that Link in Majora's Mask had to have children at some point.